The Atlantis Normal and Cold Water Dispenser allows you to enjoy fresh and safe normal and/or cold water instantly in your home or office. Enjoy the convenience of drinks at just the right temperature whenever you want them. 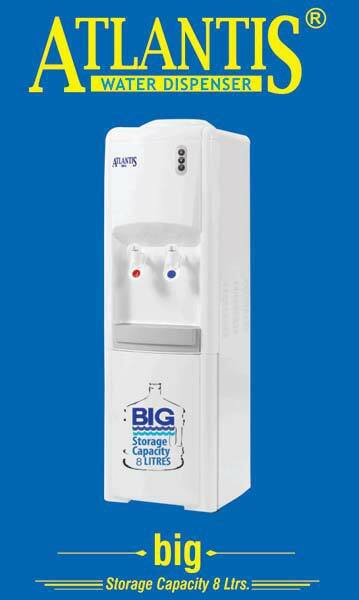 The Atlantis water dispenser has a high-flow mechanism that dispenses cold water twice as fast as competitors' models so you can fill up cups or other containers more quickly.